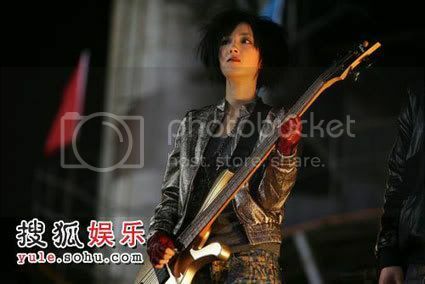 Zhou Xun: Rock show in "Women aren't bad"
April 5th, a scene of a rock show in the movie "Women aren't bad" was taken in an old factory in Beijing. A grand stage was built in a large area, 500 crazy fans sang and danced with singers Gui Lun Mei, Feng De Lun and Zhou Xun. It was reported this scene was spent about 2 million Yuan. 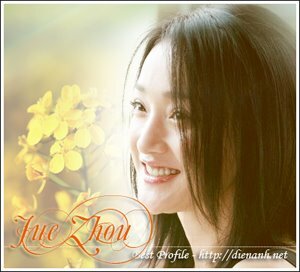 Due to requirement of the scene, Zhou Xun appeared with white long sweater and short hair. Her right leg worn a cast. Someone said that she was really injured. 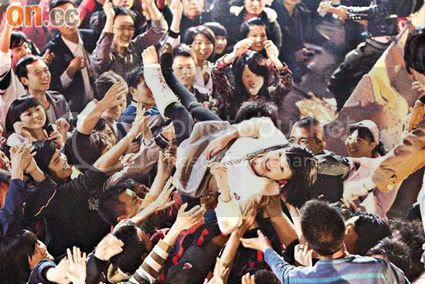 When filming, fans upheaved her and brought her to the stage. This made her have feeling of the Queen. 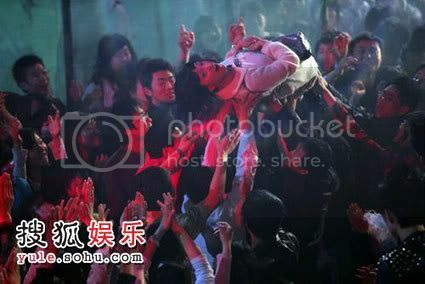 Dai Qi, Zhou Xun's boyfriend, arrived at the factory because he worried she might be injured in the process of shooting. However, to avoid affecting he mood, he vanished in the crowd. As a singer in the show is Gui Lun Mei. She enjoyed a singer's feeling very much when performing in front of 500 fans whom uncreasingly called her name. She hoped that she could have opportunity to experience as a singer in the near future.